Today, we’re taking a detour from my regular beauty and style posts–hope you enjoy! 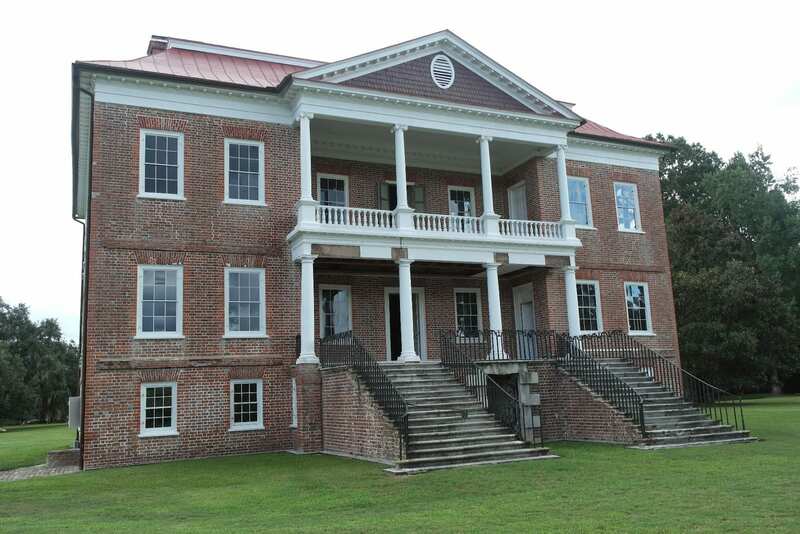 As I mentioned in my post about Boone Hall Plantation, I’m a huge history buff. The last time I was in Charleston, though, I missed out on seeing any plantations whatsoever. So I did my research before heading back, and Drayton Hall really caught my eye. Drayton Hall was built like an English manor house. At one time, a colonnade flanked each side of the house. 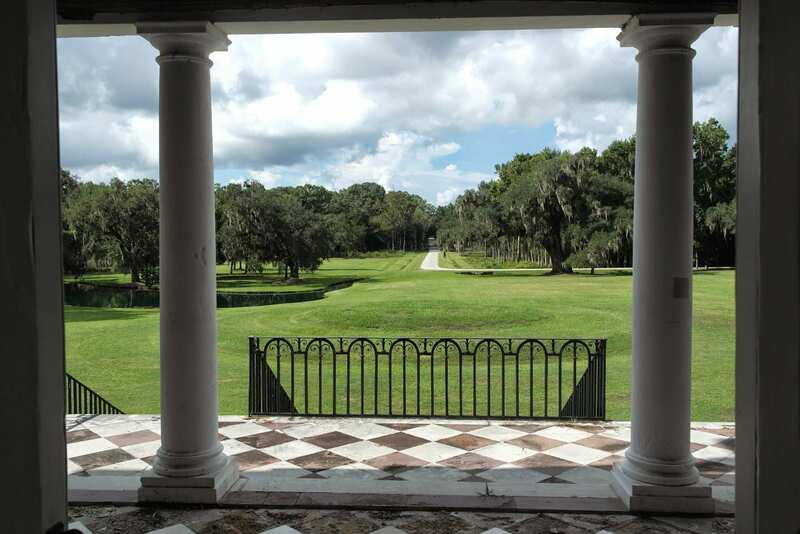 Drayton Hall was built in the mid-1700s along the Ashley River. 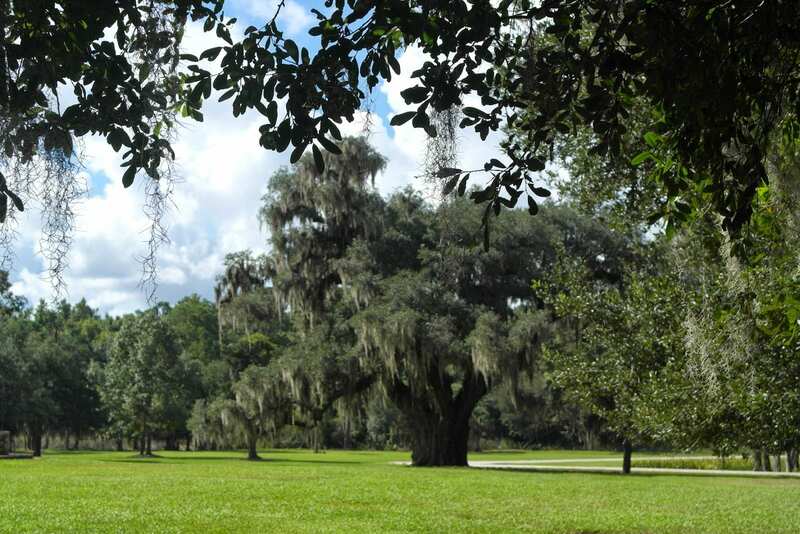 * It survived the Revolutionary War, and was one of only 4 plantation homes along the river to survive the Civil War. In 1974, it was purchased from the Draytons by the National Trust for Historic Preservation. After much thought, it was decided that the home would be preserved instead of restored. This means that the various changes made by generations of Draytons have been kept the same, so the home has elements of various architectural styles spanning over two centuries. *All factual information was related to us by our tour guide. They’re currently having structural issues with the portico, so we had to enter the house from the back. The windows you see at the lowest level are actually the above-ground basement. You can feel the history of this place. It’s all around you, and it feels like you could slip back through time at any moment. I was in awe of the home. The views all around the outside are breathtakingly gorgeous! At the moment, there are structural issues with the portico, so we had to enter the house from the back. I was able to snap this pic out the front door, though. One we made it inside the house, I could not stop staring at everything, like the gorgeous ceilings downstairs! 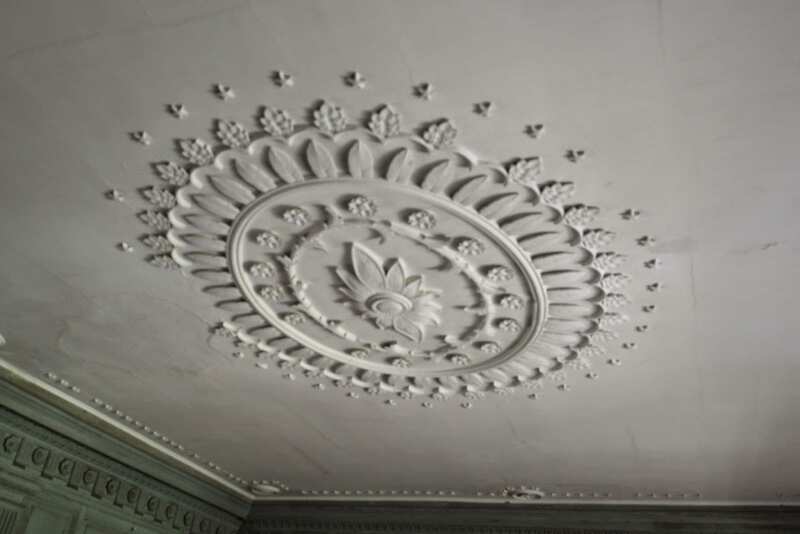 The upstairs ceilings are more plain beaded board, replaced after the more ornate ceilings collapsed post-Civil War. The paint on the wall is from the Victorian era (I believe). 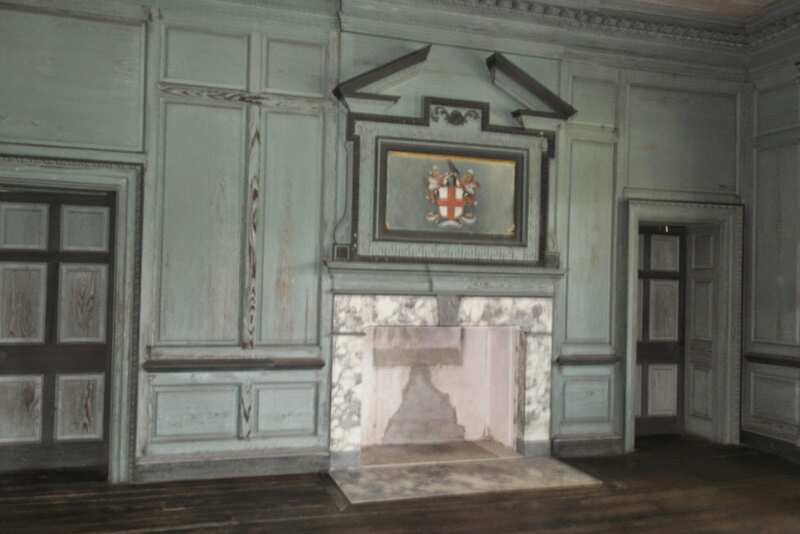 In the early 2000s, a conservation effort was undertaken to preserve the paint on the walls and to keep it from flaking. Due to this, we were asked to stay 3 feet from the walls at all times. 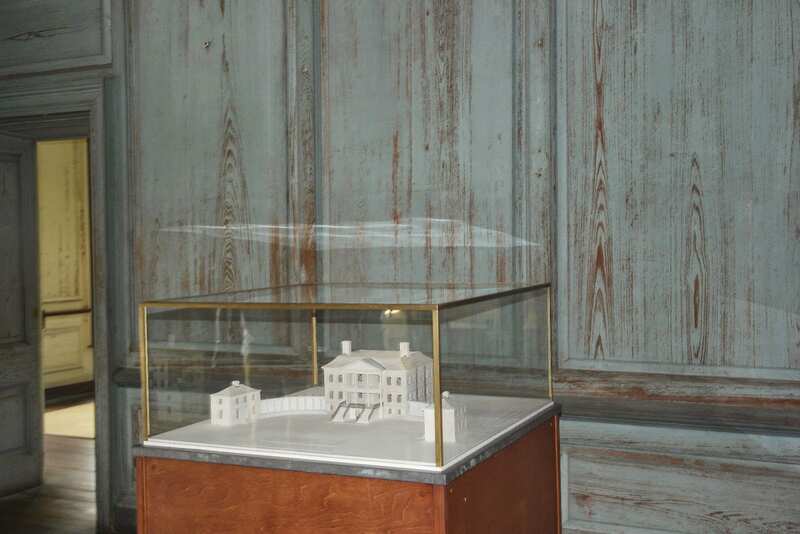 A model of what Drayton Hall would have looked like with the colonnades. It was exciting to hear all of these historical facts and imagine what it would have been like to have been a guest in Drayton Hall many years ago. After touring the main floor and the upstairs, we went back outside the house and into the basement. It seemed very weird to me that the basement was aboveground. 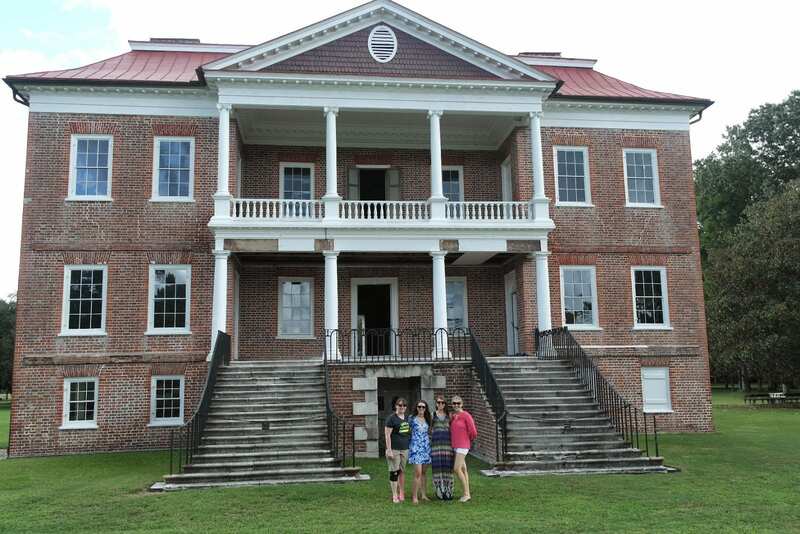 All in all, my friends and I had a wonderful time touring Drayton Hall. This should definitely be on your must-see list if you’re planning a trip to Charleston, SC. Tickets to tour the home are $20 for adults ($19 for AAA members, $18 for military), $10 for youth (ages 12-18), and $6 for children (ages 6-11). There is also a family package option for 2 adults and 2 children for only $44. To learn more about Drayton Hall, you can visit their website here, read their Drayton Hall Diaries blog here, and see some of their awesome pictures on Instagram here. Have you ever visited Charleston? What about the plantations around it? If so, what was your experience? I would love to visit Charleston, SC. 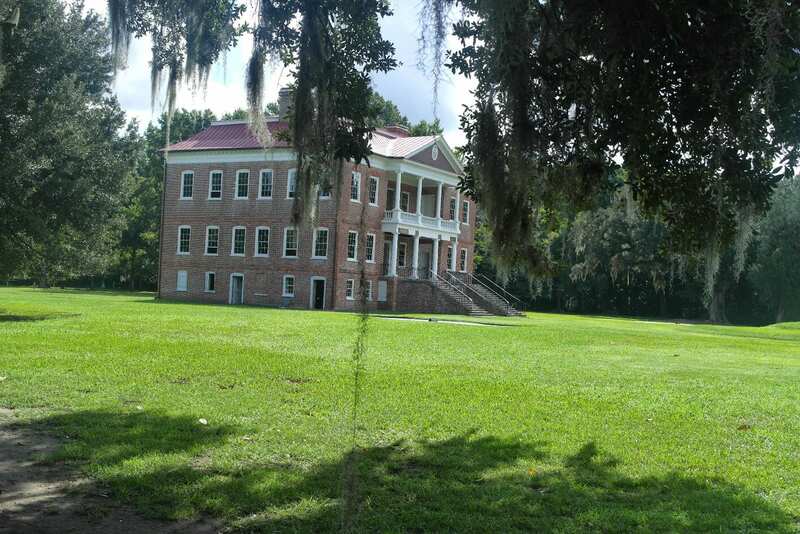 If I ever go for a visit, Drayton Hall is definitely on my list of must see's. Seriously, this looks amazing! There's a house nearby where I grew up that was preserved like this and you can tour, and the basement was above ground like that. 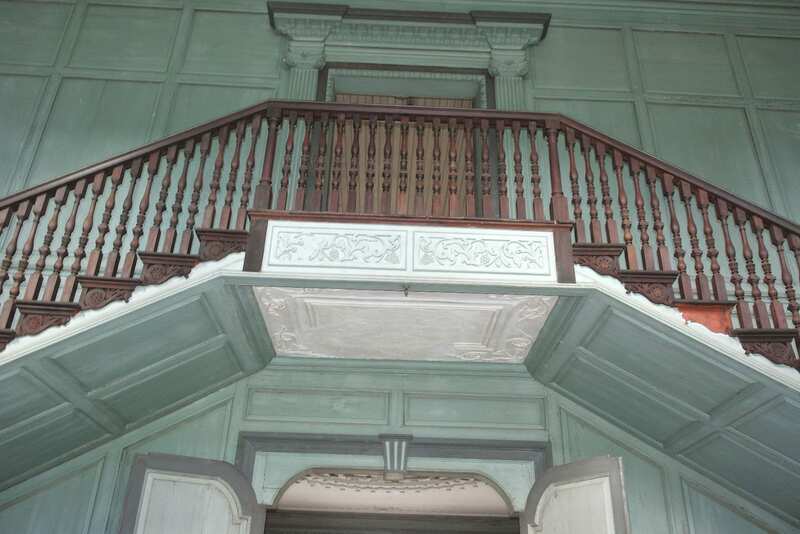 It also helped to save the stairs because they were so narrow since it was only for maids. 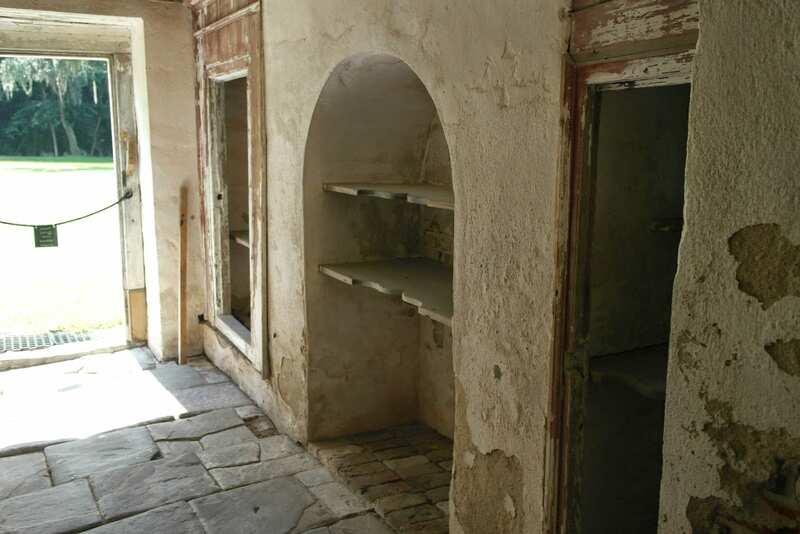 They also had an outdoor baking kitchen for the summer by the spring house. I still love getting to go back! What a gorgeous place! I've never been to Charleston, but we have friends there. I definitely want to visit some time soon! What a gorgeous home! If I ever go to Charleston, I'll have to remember this! Put it at the top of your list if you ever go there! That sounds like a place I would like to visit! I love stuff like this! Tiffany, I had never been until this summer, and absolutely loved it! This was my 2nd time back in 3 months!